Pack Up the Lat File, Pick Up a Pouf: Lessons from Salone that Apply to Our Industry - Salone isn't a single show held at the Rho fairgrounds, though that remains a big part of the design week in Milan. It also includes Fuorisalone, the "other" fair taking place throughout the city at the same time. Tangram Studio to Become Independent Entity Named Studio Other, as Nationwide Growth Continues - Since 1996, Studio Other has built a reputation as a premier creator of innovative custom furnishings for a wide range of commercial interiors. Cynthia Milota Joins Ware Malcomb and is Focusing on Moments that Matter - Milota, who is based out of Ware Malcomb's Oak Brook, Illinois, office, said face-to-face experiences are in high demand, even for an increasingly mobile workforce. From Toys to Task Chairs, Humanscale's David Wong Sees Similarities - David Wong, who spent 18 years at toy maker Fisher-Price, believes both industries need products where safety comes first, robust engineering is important and building in design features is critical. 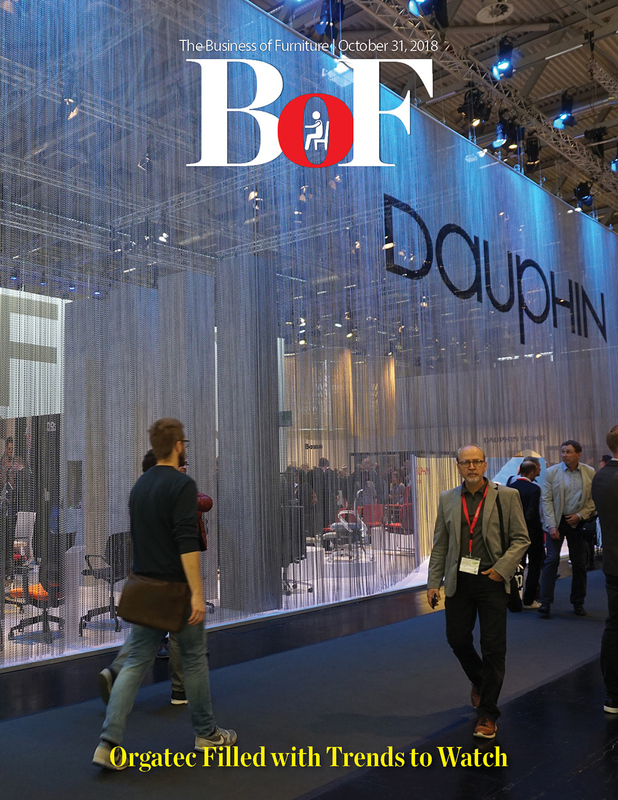 Design Holdings Makes Salone del Mobile Debut with Huge Stand - Last week Design Holding, the new furniture and lighting group made up of B&B Italia, Flos and Louis Poulsen, marked its first show at Salone del Mobile by presenting the biggest stand the Milan fair has seen in decades. AIS Announces Sales Reach $200 Million in 2018 - The company in 2018 also added nearly 20 people to the sales department, including new vice presidents, territory managers and sales team members who work across North America. INDEAL Launches Expansive Training Program: INDEAL U - The spark for INDEAL U came a couple years ago when founders Dave Gatherum and Dave Bloch started to have a dialog with dealers in the network. 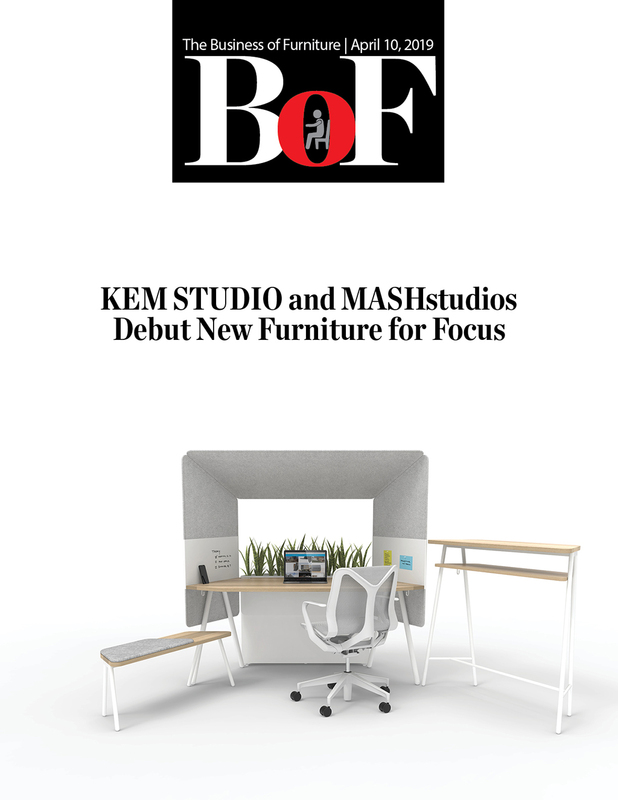 KEM STUDIO and MASHstudios Debut New Furniture for Focus - What is it that really distracts people at work in an open environment? Is it the noise? The awkward close proximity to coworkers? The lack of privacy? Knoll Ready With its Own Not NeoCon - The new Chicago showroom will host "Knoll Design Days," June 10-12, the same time, but not the same place as NeoCon. Bene Achieved Major Growth in Sales and Earnings in 2018 - In a very competitive global environment, the Bene Group prevailed in the past financial year in numerous international deals and could increase its sales to 151.4 million euros. Are You Ready for the Cloud? - This year 2020 has deployed the 2020 Content Downloader, a solution that allows customers to acquire all available manufacturers in a single download. Meadows Workflow, a Project Management Solution Designed Specifically for Contract Furniture Dealerships - With Meadows Workflow, projects stay on track, documentation is enhanced, margins are improved, and client expectations are exceeded. Configura Chairman Sune Rydqvist Leaves Behind Legacy of Innovation - As co-founder and co-owner of Configura, Rydqvist had many different roles, but the company's development, culture and growth were always at the center. 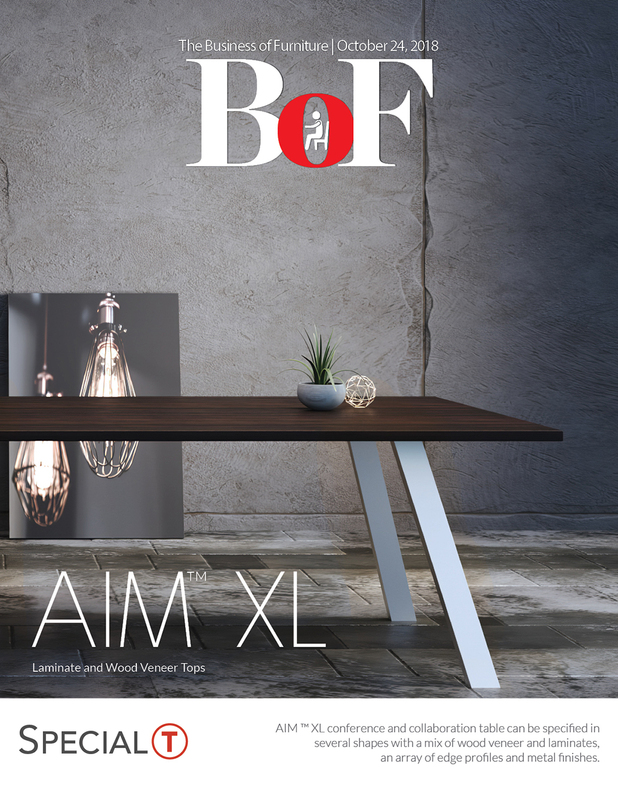 CIFF in Guangzhou Bigger, Better Than Ever - The Asian manufacturers are following Western trends in office design more rapidly. The four-day fair in Guangzhou, China, was expecting 200,000 visitors, including 30,000 foreign attendees. Based on the massive crowds the first day of the event, that might be an underestimation of the actual throng that arrived. Trend-Setting Salone Set to Start in Milan - Where NeoCon and Orgatec are about business and building relationships, Salone is the artist of the family, more focused on big picture concepts and ideas. Showing furniture that might actually sell? Who cares? WRK Lab Debuts as South Florida's Premiere Herman Miller Dealer - Garcia and his business partner Doug Fisher bought Workscapes' Miami office in January and rebranded it as WRK Lab. The new owners are aiming to create a different experience for clients when they walk into WRK Lab's showroom. Lots of touches and feels, with some VR technology experiences, too. Studio TK's Cesto Receives Green Good Design Award - Studio TK's Cesto collection of interactive seating and table elements have earned a 2019 Green Good Design Award. CIFF Starts Tomorrow in Guangzhou - The show also has become a design event, which may come as a surprise to visitors who think China "borrows" designs and does not come up with its own. The Little Unicorn That Could - SpringHaus is Nudging Northern Colorado Toward a Little More Sparkle - The Northern Colorado commercial design market is interesting, leaning more toward function and being less focused on design trends. Brexit is (Could Be?) 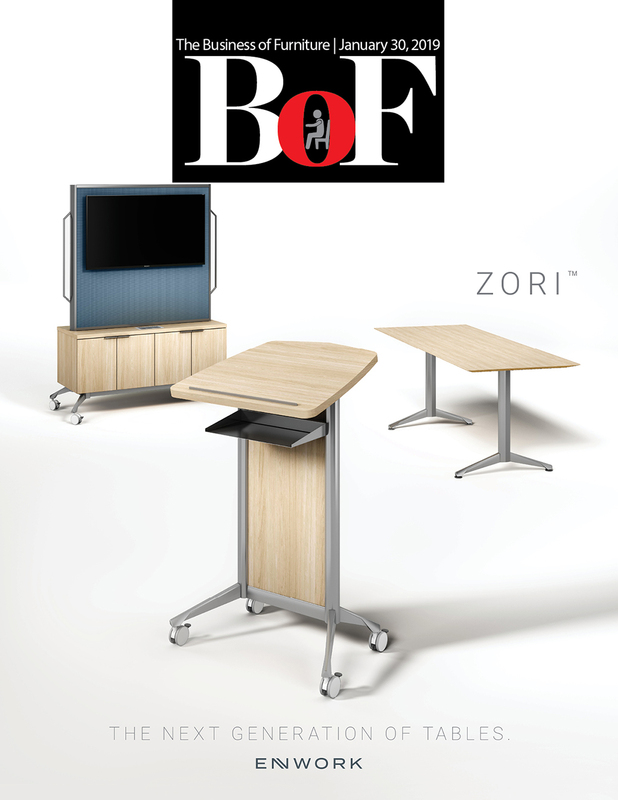 Days Away: How British Office Furniture Makers will be Affected - Markets hate uncertainty. And the fear of the unknown certainly has been hard on Britain's office furniture makers. Configura Holds Partner Meeting in Grand Rapids - Before the attendees gathered for breakout sessions on how to make Configura better, the company's leadership team outlined where the company is today and where it wants to be in the future. Magis is Proud to Be at the Table with STUDIOS Architecture and Herman Miller - Seating from Magis was selected by STUDIOS Architecture and Herman Miller Collection for its installation at Design Industries Foundation Fighting Aids Dining By Design event. The Private Office is Not Dead, But it is Evolving - Is the private office on its way out? Who still wants and needs them? Dewey Collection Next to Hit Market - The Dewey product line, first introduced under Fixtures Furniture by izzy+, is back and now available through SurfaceWorks. The Gensler Institute Finds an Intersection of Factors Makes a Great Workplace - Mostly open environments deliver best on performance and experience, the rising scores driven by high levels of choice, variety and balance. NYC Rep Ken Gibson Leaves Design Center for New Showroom - Gibson specializes in smartly designed furniture and ancillary products. Meadows Workflow - Designed with the dealership in mind, Meadows Workflow makes it simple to access project files from anywhere, assign tasks and monitor completion status. Steelcase Reports Strong Fourth Quarter and Fiscal 2019 Results - Revenue increased 18 percent in the fourth quarter compared to the prior year, or 15 percent on an organic basis, reflecting double-digit growth across all segments driven by strong project business from large customers. 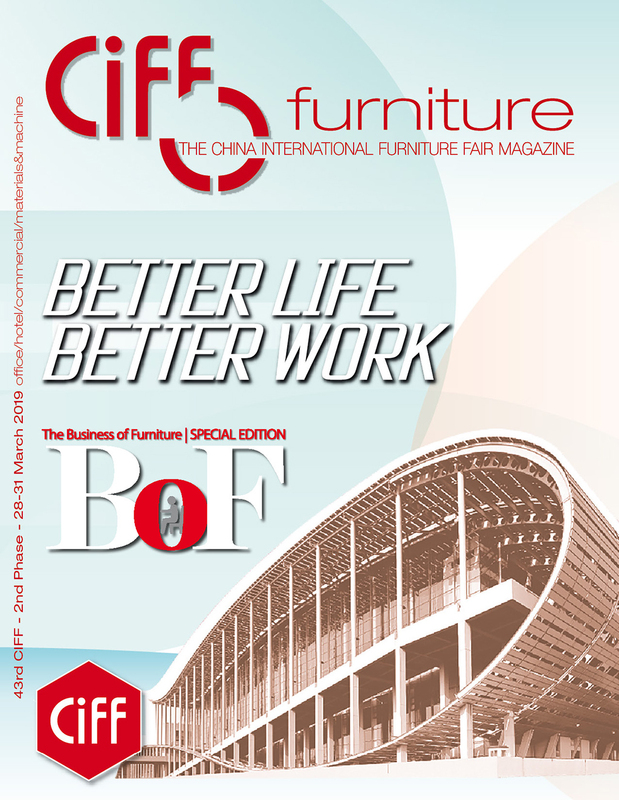 THE 43RD CHINA INTERNATIONAL FURNITURE FAIR GUANGZHOU - Phase Two: March 28-31, 2019 - Without a doubt, excitement and innovation are the key words of the next edition of CIFF Guangzhou, whose constant commitment offers a global platform that best launches exhibitors' innovations, taking great care to welcome sector professionals, including the growing number of foreigners among them. THE OFFICE SHOW - The CIFF Office Show, that covers 220,000 sqm in Area A, Area B and Area E of the China Import & Export Fair Complex, is dedicated to office furniture and seating, hotel furnishings, metal furniture, furnishings for public spaces and waiting areas, as well as accessories, materials, and machinery for the furniture industry, comprehensively addressing the theme of the Smart Office and establishing the sector devoted to furniture for healthcare facilities and seniors. THE SMART OFFICE MAKES WORK MORE ENJOYABLE - In China, the constant expansion of work environments, the consequent growth of the internal market for office furniture, and the development of corporate culture by managers and employees are provoking profound reflection on what future work methods and environments should be like. How can work be made more enjoyable and engaging? What kind of environment can make workers more productive? Why are some company employees more likely to work overtime? What kind of company is appreciated and desirable? The CIFF Office Show 2019 intends to answer all of these questions, helping to outline environments where the possibility of working comfortably and happily is no longer just a dream. LEADING COMPANIES AND NEW BRANDS - The CIFF Office Show is the most prominent business platform and the largest office furniture fair in Asia, serving as the true benchmark in the sector in China, bringing together leading companies and new brands and attracting professionals from all the major world markets. The 43rd CIFF Guangzhou - Office Show will host leading office furniture manufacturers; companies such as Sunon, Victory, Haitian, Quama, Zhongrui, Jongtay, Tiantan, Saosen, Kinwai, Liming, Merryfair, Kuoching, UE, Bosen, Boyi, Allbest, Lijiang, Hongsheng, Hongji, Erqing, Huabao, and Dechang will present new concepts and systems for the workplace; other brands, like Merryfair, Kuoching, UE, Bosen, Boyi, and Allbest will offer ergonomic and comfortable seating with an attractive design. Poppin Debuts Redesigned Showroom - Poppin's newly redesigned New York City headquarters embodies the brands evolution, demonstrating its maturation from start-up office furnishings and solution purveyor to a dedicated one-stop-shop and resource for brand's of all sizes and scales. 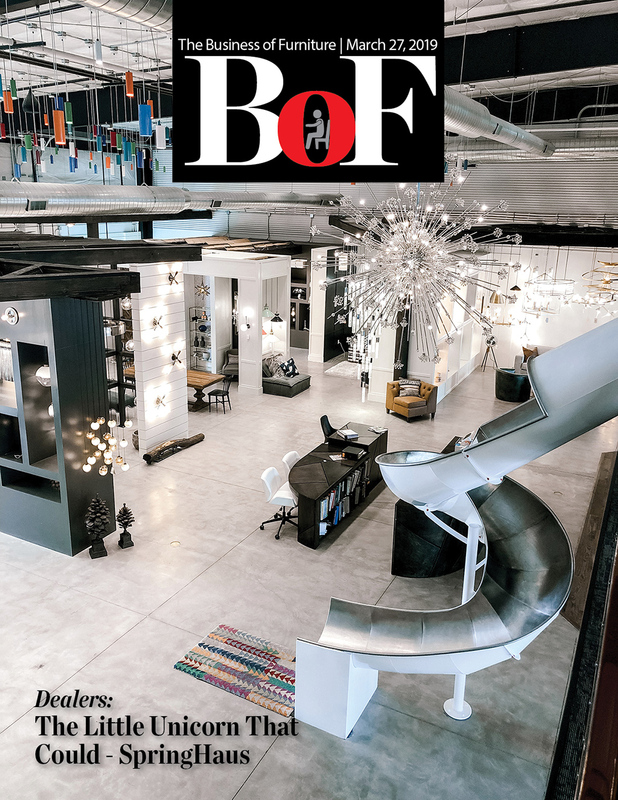 Furniture Advocates Takes Brand Agnostic Approach to Selling Furniture in NY - It is neither an office furniture dealership, nor an independent rep group. Mike Wagner Leaving Kimball to Pursue 'Entrepreneurial Adventure' - While Kimball searches to fill Wagner's position, Don Van Winkle, president and chief operating officer, will be the interim president of the Kimball brand. Varidesk Adds Two New Desks to its Education Line - The Sit-Stand SchoolDesk, equipped with a patent-pending air piston-assisted lift, lets students raise and lower their desks to fit their ideal height. 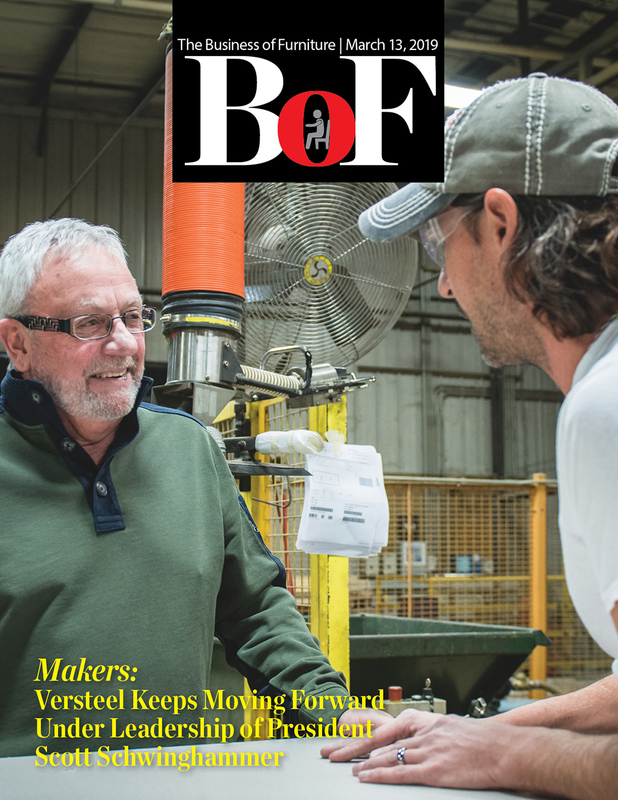 Versteel Keeps Moving Forward Under Leadership of President Scott Schwinghammer - Before there was Versteel — which is located in Jasper, Indiana — there was Ditto Sales Incorporated, a furniture manufacturer rep company Schwinghammer and his father ran together until his father died in 1976. Q&A: Inside the Munich Coalesse Design Studio - Design is a democratic and empathic process with an ongoing exchange. Knoll Shift Toward Lifestyle Outlined in Investor Presentation, Annual Report - Maximizing the sales growth and profitability of its office segment — Knoll's largest segment — has been a continuing priority, the report noted. MG West Transitions to Preferred Haworth Dealer and Aims to Develop a New Global Vibe - MG West started out 110 years ago as a safe and bank vault company founded by Monroe George West. Smart Offices: Be Aware of the Risks - Today, it seems no complicated operations need to be planned to gain access to company-sensitive information. Steelcase Defends Connected Office from 20,000 Unsuccessful Attacks in Single Month - Does Steelcase communicate with customers about possible threats of IoT solutions in furniture? Inscape Unveils New Toronto Showroom - Inscape has opened its flagship showroom and Engagement Centre in the heart of Toronto's Financial district. Inscape Sales Climb 29% in Latest Quarter - Sales of the base business (excluding sales from an exited business unit) increased by 29% for the third quarter of fiscal 2019 compared to the prior year. 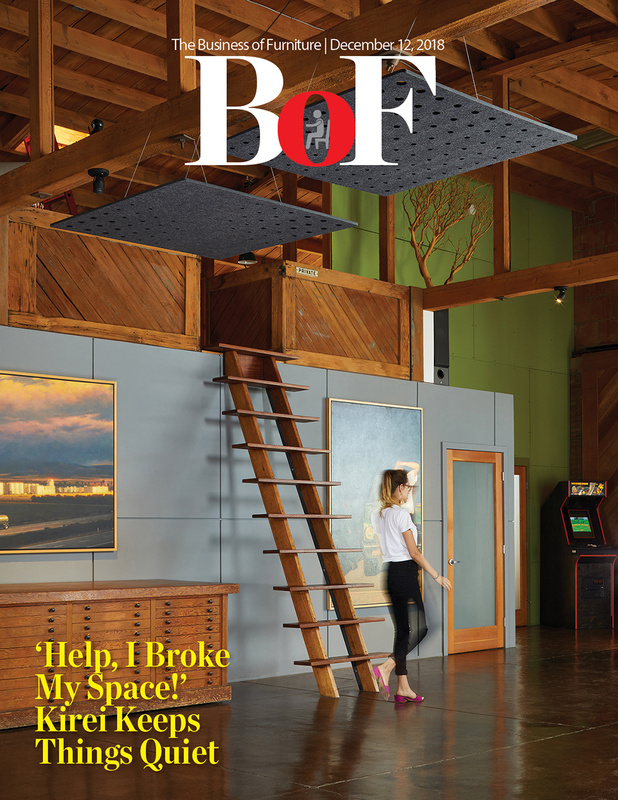 Davis Furniture Celebrates 75 Years in Business - New ideas and innovative products have steadily propelled Davis Furniture forward for more than seven decades, and the same family has been behind that energy from its inception. Office Section of iSalone to be Spread Throughout Show - Workplace3.0 is a biennial celebration of the best office furniture from around the world. Where does work end and home begin? 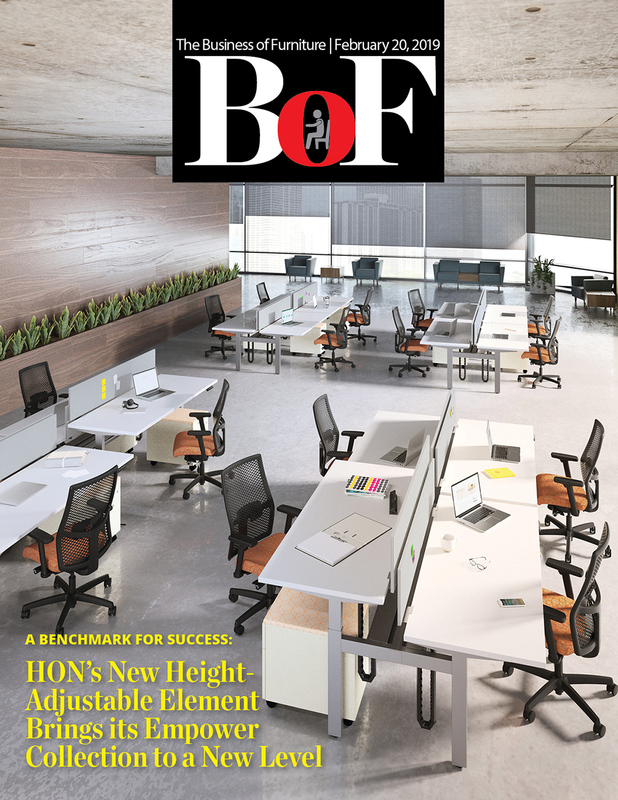 It is an important question for the office furniture industry, which is responding to more and more inquiries about how to make the workplace feel like home. ASID Releases 2019 Outlook and State of Interior Design Report - The report begins with an overview of key issues in the U.S. economy, including content necessary to navigate through uncertainties expected to impact both businesses and individuals from 2019 onward. Sedia Systems Expanding Global Reach - Sedia Systems is building on its success in North America by expanding its presence and distribution globally. BIFMA Sustainability Standard Strengthened - The standard was developed with NSF International and has been recognized for its vision and market penetration over the last decade. 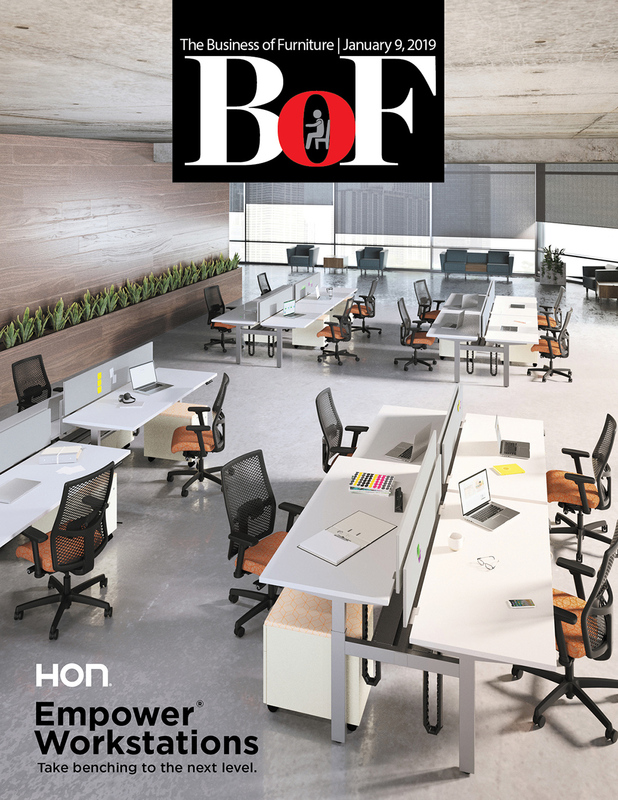 A Benchmark for Success: HON's New Height-Adjustable Element Brings its Empower Collection to a New Level - The height-adjustability is compatible with HON's unique wire management system that routes power neatly beneath the surface through troughs and vertebra casing. Bandon Boondoggle Anything But - Without getting into all the details, it is a three-day golf outing organized by Eaton and held at the beginning of February with 20 industry friends at one of the best golf resorts in the country, if not the world, Bandon Dunes. 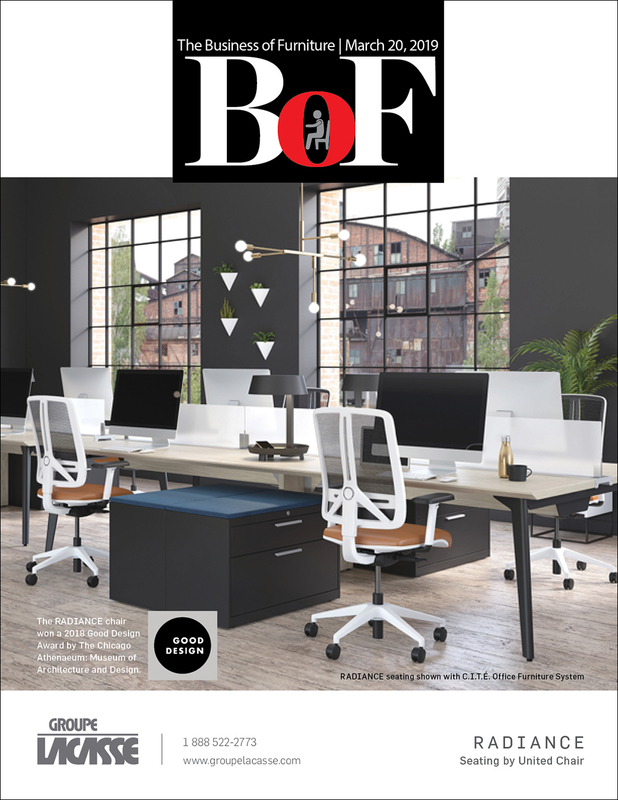 InsideSource Goal to Become Global Office Furniture Dealer - The furniture world is rapidly changing, and the world needs a dealership that can bring together an industry that is tightly structured domestically, but fragmented when it comes to dealing with international customers. 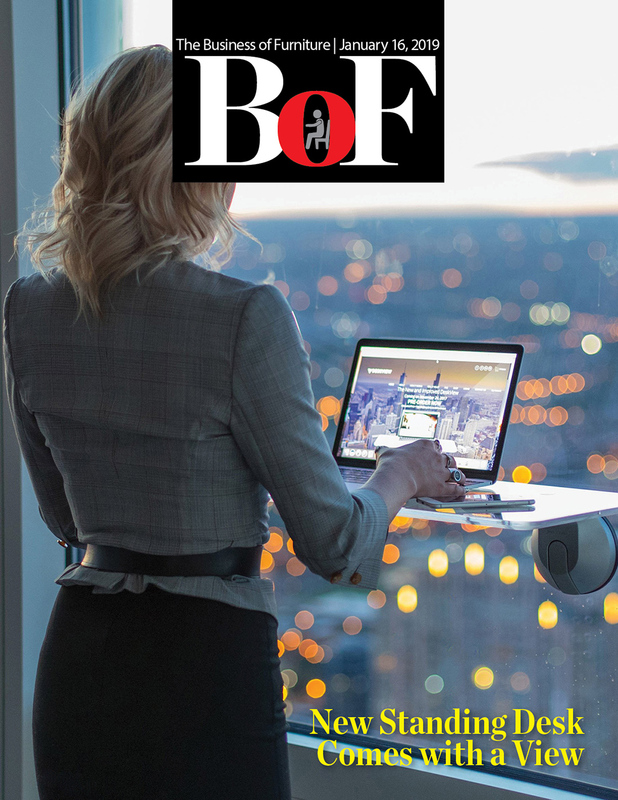 BOS Holdings Announces Addition of Florida Business Interiors – Tampa Bay - The newest addition to BOS Holdings is Florida Business Interiors (FBI), in Tampa Bay, Florida. Workers Prioritize Work-Life Flexibility Over the Latest Office Design Trends — But Employers Aren't Keeping Up - Flexibility is not the only thing workers want their employers to offer when it comes to work-life integration. Captivating Conversations Underscore NeoCon's Role as a Thought Leader in Design - NeoCon has added an extra day of programming with presentations this year beginning on Sunday, June 9. Candace Nelson is Taking Intereum to a New Level, and There's no Reason to be Scared - Nelson studied interior design and has 23 years of experience in the contract furnishings industry, beginning her career as a Herman Miller dealer salesperson for facility systems. Interior Office Solutions Adds Haworth as an Investor, Rebrands as PeopleSpace - Amplified by its affiliation with Haworth, the new entity will encompass all of IOS' existing business lines. Camira Unveils New Partnership with Jens Risom Design - The original fabrics were designed and produced by Jens Risom in the 1960s to complement the pioneering modern furniture designs for which he is widely renowned. 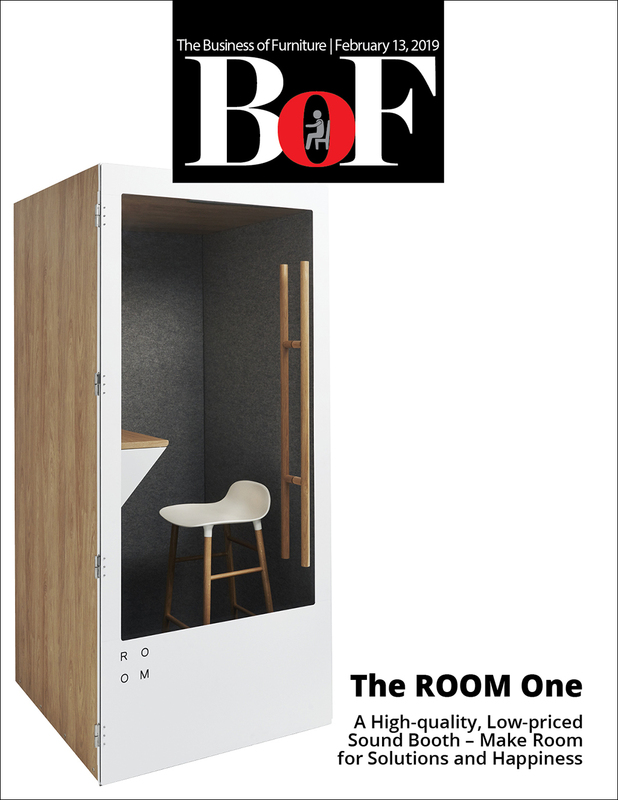 The ROOM One debuts as a high-quality, Low-priced Sound Booth – Make Room for Solutions and Happiness - As with any new invention, ROOM's flagship product, the ROOM One soundproof phone booth, had its initial challenges, but excellence was worth the wait. 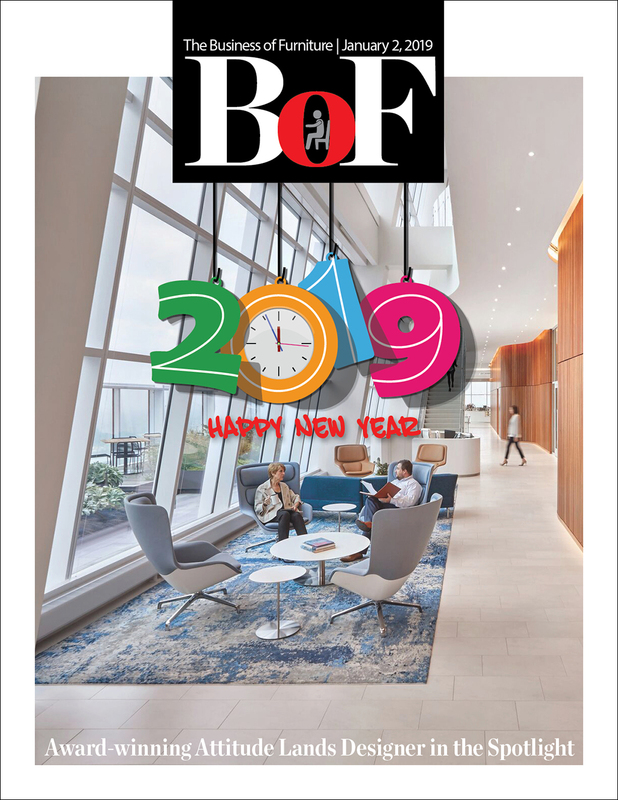 Knoll Reports Fourth Quarter and Full Year Results - Net sales for the Office segment were $212.0 million during the fourth quarter of 2018, an increase of $1.9 million, or 0.9% compared to the fourth quarter of 2017. BIFMA 360˚ Leadership Conference Succeeds Because of its Mix of Speakers, Attendees - It continues to be one of the best industry events of the year. 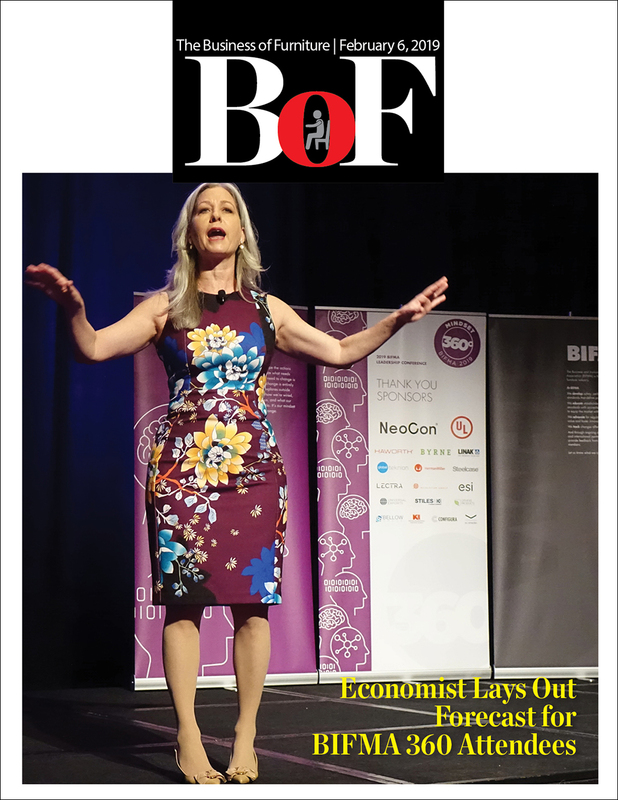 Economist Lays Out Forecast for BIFMA 360 Attendees - The economy is also experiencing quantitative tightening, a reversal of the quantitative easing that brought us out of the last recession. Kimball Reports Second Quarter Fiscal Year 2019 Results - Revenue growth of 13%, or 11% on an organic basis, led by double-digit growth in commercial, healthcare, and hospitality verticals. 10 Tips for Creating High-Quality Interior Renderings - Using some rendering best practices will ensure your renderings "wow" your clients and effectively communicate your vision. KiSP Launches KITS collaborator XRPro Edition - KiSP believes in a core product and services philosophy where customers should experience a significant innovation component in each of its products. Camira Inspires Fresh Wonder and New Insights with 2019/2020 Trend Report, 'Why not...' - Camira's Trend Report for 2019/2020 provides fresh insight into the colors, textures and aesthetics the company's product designers predict will hold sway in the coming year. Enwork Introduces its Most Comprehensive Product Collection Yet - At Enwork, product development begins with a deep understanding of the customer and how their spaces are used. 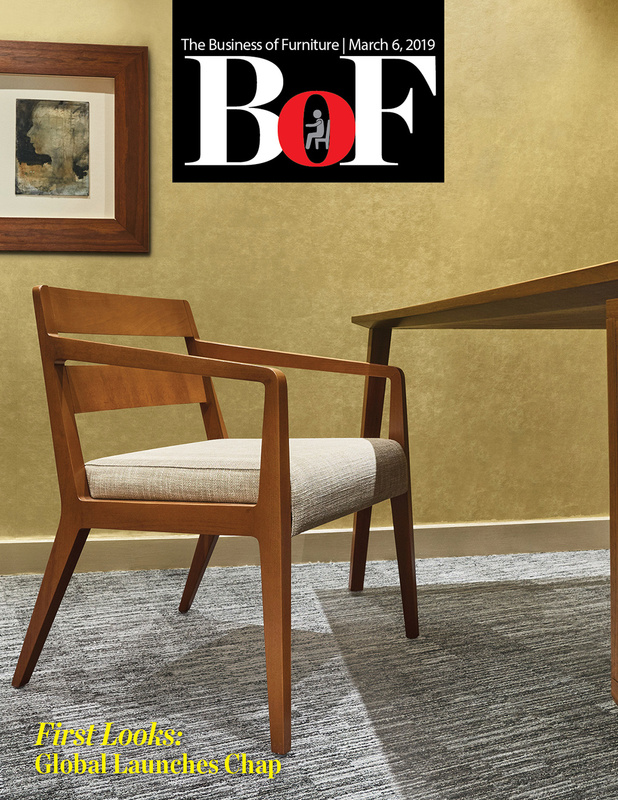 Florence Knoll Bassett, Design Pioneer and Guiding Light of Knoll, Dies at 101 - It is hard to imagine the office furniture industry without Florence Knoll Bassett. January Furniture Survey Improves Again - The survey showed the most frequently cited perceived threats to the industry's success are tariffs, travel, transportation and logistics costs. Integra Seating Expands Headquarters Which Includes New Showroom - Integra is a designer and manufacturer of high-quality lounge/soft seating and tables for the health care and education industries, specializing in high-volume use settings. 2019 BIFMA Leadership Conference - The annual conference kicked off Monday in Scottsdale, Ariz. with two fascinating keynote speakers and the annual "speed dining" event to get the group of 200 or so industry executives mingling. Egan Visual Acquires Exact Furniture - Exact will continue to serve customers through its nationwide network of Pro AV Integrators. Rainlight Storms Ahead in its First Year of Business - Led by Susan Grossinger and Yorgo Lykouria, Rainlight enters 2019 in a strong position by making products that enhance the way people live and work. INDEAL Launches Major Rebranding - INDEAL has launched a major rebranding initiative reflective of the company's evolution into an all-encompassing, full-service solutions provider for dealers in the commercial interiors industry. The Suddath Companies Acquires Perdue - "Clients can expect to experience the best of both companies – a total solution for all of the planning, furniture and moving needs a business has when contemplating re-engineering or relocating its workplace." Steelcase Bets Big on Hyderabad - The company is going to invest more in Hyderabad, putting more people and products in this market in the coming years. Loctek Debuts Smart Components - Marketed in the U.S. as FlexiSpot, the company offers various versions of standing desk converters, full standing desks, desk bikes and workstation accessories. The Making of a Nook: A Tour of the Company's Bristol Manufacturing - Nook creates an oasis for office workers increasingly besieged by noise and distraction and becomes a quick meeting destination for workers who don't want or need a formal conference room. Overcommunication Helps Create Head-Turning Office Space - The 127-year-old, fifth-generation-owned concrete company reached a milestone last year when it brought six departments together under one roof for the first time in its history. ASID Sponsors Inaugural DesignWell Conference - The event theme is wellness architecture—how nature, materials, and design come together to benefit humans within the built environment. Unika Vaev Announces Partnership with De Ploeg - Unika Vaev has announced their new partnership as the exclusive North American Distributor of the upholstery collection of European Textile Manufacturer, De Ploeg. One Workplace Launches New Commercial Interior Construction Company - Vantis begins operation with about $33 million of business that has been assigned by the dealership. INDEAL Evolves Beyond Buying Group to Serve the Dealer Community - The growth of INDEAL comes from a vacuum in the industry. INDEAL has morphed from a buying group, which is all about return on investment, to an organization focused on the plight of the dealer, where the dealer is going to be and what the dealer needs to do. New Standing Desk Comes with a View - Using a glass surface did raise some questions about safety at first, but in the end it was the perfect view. 5 Nightingale Products Win Prestigious Good Design Awards - 'Good Design' is the oldest and most prestigious design awards program in North America. USM Reflects its Versatility and Personality with Showroom Relaunch - USM, renowned Swiss manufacturer of modular furniture, has totally revamped its Clerkenwell showroom to create a modern, natural and compelling space to reflect the company's beauty, versatility and history. 'The Mother of All Demos' and Herman Miller's Role in Computing History Celebrated in Silicon Valley - The 50th anniversary of the event was celebrated recently in Silicon Valley, London and Tokyo. In the 1960s, Herman Miller was developing furniture for a new kind of office. Employing a cadre of psychologists, architects, designers and other specialists, the company had been closely examining the infrastructure and spaces needed by the modern office worker. How to Do Business in Turkey Amid Swirl of Politics; Crushing Economics - Navigating through the political and economic quicksand in Turkey isn't easy, and a quick scan of the news proves the point. The headlines coming out of Turkey, though better than a year ago, don't create confidence in the country's economic stability. Imagine being an office furniture maker operating in such an economy. Humanscale Showcases User-Centric IT Solutions at CES, Including New M/Connect 3 - So, how does an office furniture maker fit into the world of technology? Herman Miller Posts Single Digit Revenue Increase for the Latest Quarter - "Strong demand was a clear highlight of our results as we finished the quarter setting all-time records for quarterly net sales and order levels for our Company." Mobile Car Care Debuts in the Workplace - Zippity's clients include about 50 large companies and hundreds of smaller ones, adding up to about 55,000 individual customers. Award-winning Attitude Lands Designer in the Spotlight - Gilbert Olds is an interior designer with Alfred Williams & Company in Charlotte, North Carolina. He was nominated for the award by his peers at work. CIFF Prepares for Your March Arrival in Guangzhou - This year CIFF will be promoted with a single image integrating the content of the entire furniture industry supply chain represented at CIFF. 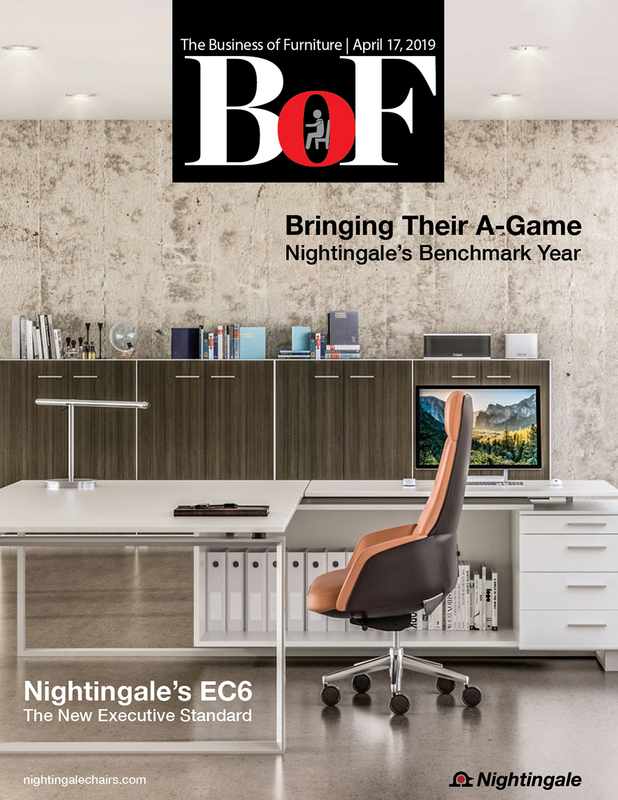 The trade in office furniture between the two countries is very much alive and growing as evidenced by the number of North American buyers who head half way around the world for the massive event that takes place in two phases. Nienkämper Honored with Four Prestigious 2018 GOOD DESIGN Awards - Nienkämper has been recognized with the 2018 Good Design Award for four products from its table and seating collections. ICF Mood Tube Chair Wins Award - ICF's Mood Tube chair has won the German Design Award Special Mention for Excellence in Product Design. U.S. Hiring Intentions at 12 Year High as Demand for Workers is Set to Grow in 2019 - The competition for skilled talent is set to rise in the first quarter of 2019. All 13 industry sectors forecast optimistic hiring plans with the strongest hiring outlook in transportation and utilities as consumer expectations for on-demand delivery grows. Hurricane Topples School; KI Furniture Holds Up the Roof - In October, Hurricane Michael, the strongest storm on record to hit the Florida Panhandle, mostly destroyed Robert F. Munroe Day School, in the Panhandle city of Quincy. Coalesse Turns 10 and Continues to Turn Heads - Coalesse still lives by its founding belief it can be internationally relevant by creating great, live-work spaces and partnering with world-class designers. 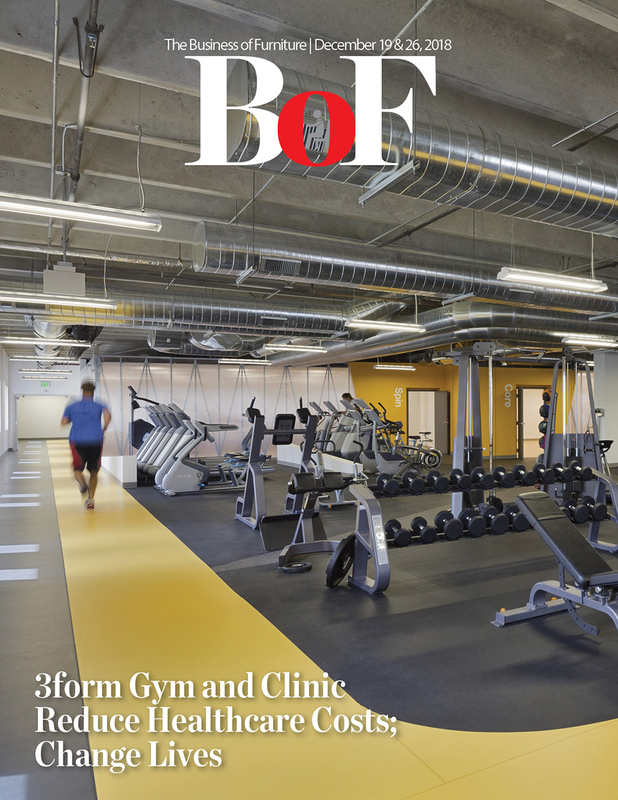 3form Gym and Clinic Reduce Healthcare Costs; Change Lives - As health care costs continue to be a major issue for Americans, many are left asking themselves how to improve the country's health care system and its economic toll on families. Steelcase Reports Double Digit Sales Gain for Third Quarter - The Americas posted 16 percent revenue growth, or 12 percent on an organic basis, driven by strong project business from both large and small customers. Groupe Lacasse Acquires Via Seating to Further Expand its Presence in the U.S. - This acquisition is of strategic importance for both companies to share expertise and manufacturing capability and supports Groupe Lacasse's growth strategy in the commercial seating market segment. Both parties will use their collective talents and knowledge on a larger scale to grow at a faster pace. 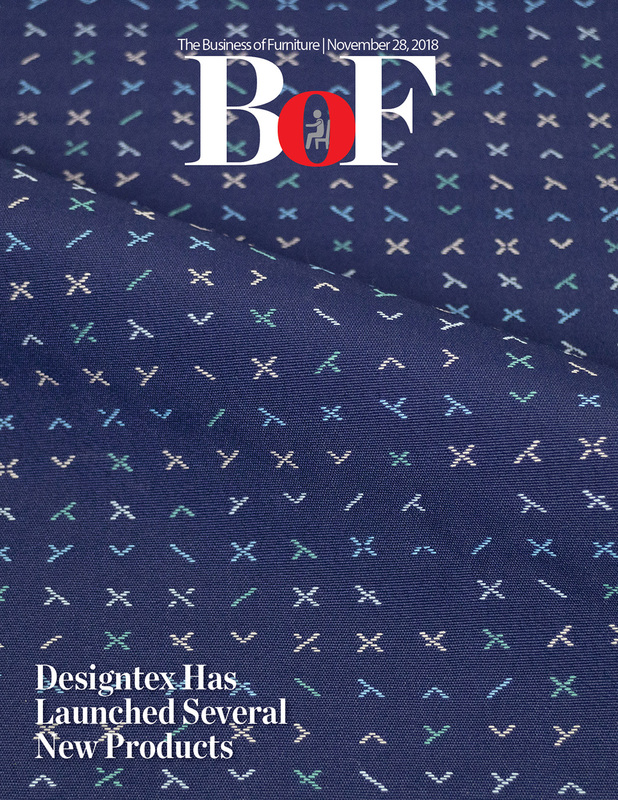 Designtex and Crypton Team Up to Celebrate 25 years of Design and Innovation - In celebration of Crypton's 25th anniversary and its foundational partnership with Designtex, the two innovators have teamed up to introduce a special collection that pays homage to art, design, technology, performance and two pioneering leaders in the contract textile industry. Assmann Invests in Frem - Assmann is in the progress of expanding its product portfolio to keep up with the changes in the world of office furniture. 'Help, I Broke My Space!' Kirei Keeps Things Quiet - Kirei is focused completely on architectural products and not interested in going in the furniture direction (i.e. BuzziSpace). BSE Global Scores with New Industry City Headquarters Designed by TPG Architecture - When you enter the new headquarters of BSE Global, formerly Brooklyn Sports & Entertainment, the energetic buzz of the space is practically tangible. 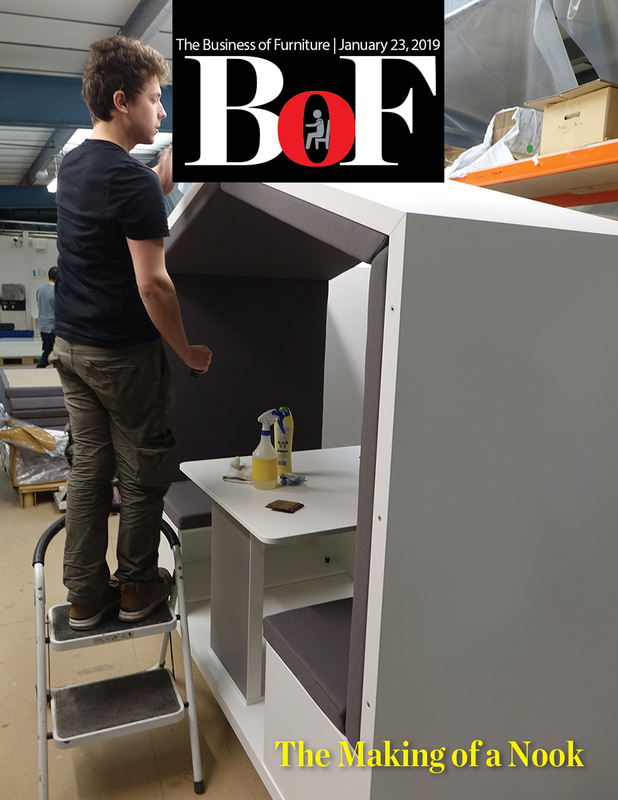 Baker Manufacturing Company to be Sold - Baker Manufacturing Company, which distributes and manufactures its height-adjustable furniture products under the JRB Studio brand, has announced its shareholders have decided to sell the company. Design Thinking Helps Make Sense of a Complex World - Design thinking has long been a major theme in the office furniture world because creating work environments is essentially about shaping experiences. After graduating from MIT, Ela Ben-Ur went to work for the renowned innovation firm IDEO, helping companies design products. These days, she is teaching the ways design thinking can apply to people's lives — whether planning a graduation, a conference or a curriculum. Claridge Adds to the 'MIX' - Over the last few years, while maintaining its reputation for quality and service, Claridge added beautiful design to its new products with the help of Qdesign. The embrace of design is a huge move for Claridge, which is a family owned business. ASID 3rd Quarter 2018 Interior Design Billings Index 'subpar'; Future Looks Brighter - Third quarter billings remain "sub-par," but inquiries are picking up, according to the index. The good news is the six-month outlook shows stronger business conditions are expected. Seattle Dealer Founder, Rep Craig Haskell Dies at 76 - Amy Haskell (daughter), Megan Gasperetti (granddaughter), along with Piper Dickens (longtime colleague and friend) are carrying on his legacy at The Haskell Group. ASID Shares Research Findings as Part of Impact of Design Series - Located on Alfred DuPont's 300-acre estate, the hospital is set amid a beautiful, parklike setting of oaks and green lawns. Arconas Wins 2018 Mississauga Board of Trade International Trade Award - The award honors a business in Mississauga, Ontario, Canada, for its dedication in pursuing and exporting to global markets and providing diversification, revenues and jobs within the Mississauga economy. Wayfair Professional is Coming to a Bid Near You - It is a place Wayfair is happy to be and a segment of the business that is exploding with growth. Wayfair has grown from $380 million in sales in 2010 to $4.7 billion in 2017. Even though a relatively small portion of that comes from office furniture sales, it is growing. Newly Appointed Kimball International CEO Kristie Juster Speaks to Process Change in the Industry - Juster said her path to return from her professional break was a choice she didn’t take lightly. Juster served more than 23 years at Newell Brands, working in several business units and under the guidance of seven different CEOs during her tenure. PlasProtect Makes Sure Your Furniture Arrives in One Piece - PlasProtect has invested in the tooling for the plastic corner protectors, and since it is the company’s focus, it is able to spread the cost over the long term. Inscape Opens Washington, DC Showroom - Located on the eleventh floor at 1090 Vermont Avenue NW, the showroom is flooded with natural light offering views of the historic downtown. EDspaces Shows Off Latest in Educational Design - EDspaces, a conference about the future of learning environments, got bigger and better this year. More than 60 CEU sessions, interactive classroom designs, tours, new products and a number of informative presentations were featured at the conference. Steelcase Educates Greenbuild Attendees on Emotional Wellbeing at Work - Workplace stress costs the economy a staggering $300 billion a year. Just 11 percent of workers are engaged in their jobs. Both are reasons why creating a physically healthy workplace is incredibly important. 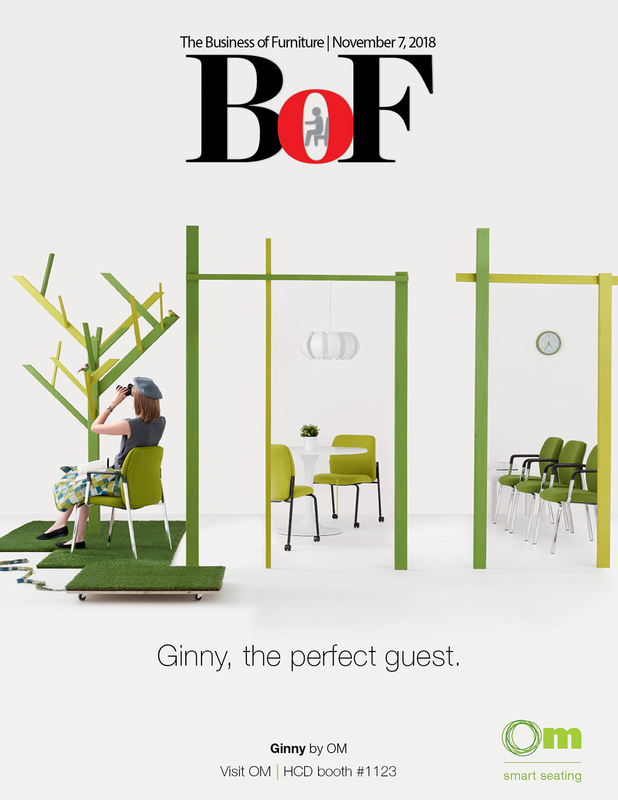 BDNY Show Focused on Hospitality - Boutique Design New York (BDNY) is an annual trade fair that covers what's happening now in hospitality and leisure design. Greenbuild: Does Anyone from the Industry Care? 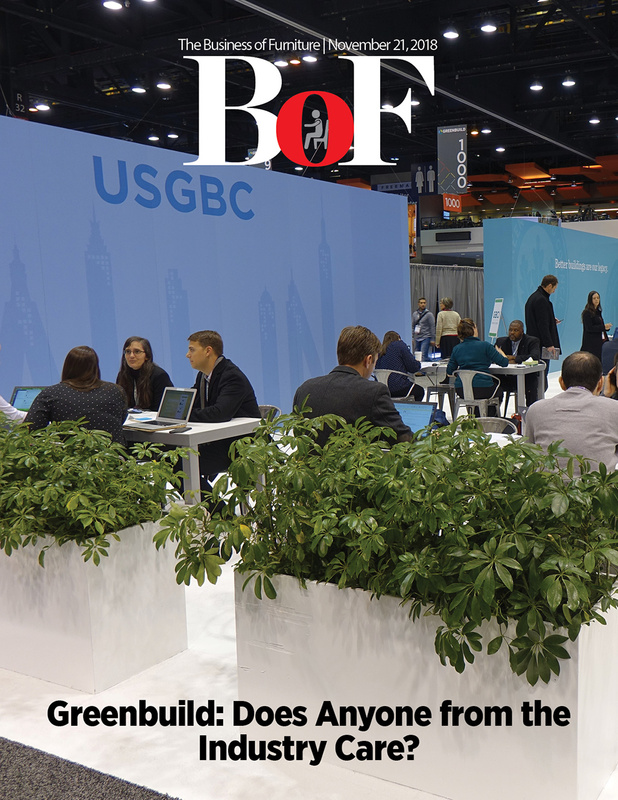 - Did the office furniture industry abandon Greenbuild or did Greenbuild abandon the industry? Powerful Presentation Tools From 2020 You Can Use to Showcase Your Designs - Whether you're pitching to a client or getting ready for a talk, the key to a successful presentation largely depends on its creativity and its ability to keep your audience engaged. UPFRONT: SurfaceWorks Opens Additional Manufacturing Facility: Penny table first out of the gate - SurfaceWorks, a manufacturer of tables for the contract furniture industry, plans to open a second manufacturing location in Oak Creek, Wisconsin. October Furniture Survey Remains Solid - The most frequently cited perceived threats to the industry's success are tariffs, transportation and logistics costs, steel prices, and general material costs. BIFMA Prepares for 360 Conference (and So Should You) - The 200 or so attendees of the annual 2019 BIFMA Leadership Conference scheduled this for Jan. 28-30 in Scottsdale, Ariz. have come to expect an exceptional programming. Humanscale's Jane Abernethy Wins Women in Sustainability Leadership Award - Abernethy has won the 2018 Women in Sustainability Leadership Award (WSLA), which was established to encourage awareness, advancement and support for women in sustainability leadership. The award comes on the heels of Humanscale announcing Abernethy's promotion in September. SKG Among Austin's Fastest-Growing Private Companies - SKG is competing in a market filled with fast growing companies. Many of those companies in Austin are customers of SKG, which reported an annual average growth of more than 34 percent from 2015 to 2017. Configura's 11th CET Designer User and Developer Conference Draws Global Audience - This year's annual Configura Designer User and Developer conference saw record-breaking attendance, drawing 527 people from various industries and around the globe to Grand Rapids, Michigan, in October. A Conversation with Designer and Artist Jaime Hayon - If you want to get into the head of artist and designer Jaime Hayon, follow his Instagram feed. It is an explosion of colors he finds during a travel schedule that would make Phileas Fogg tired. CBRE Responds to Demand for Coworking with New Flexible Office Solution Launching in 2019 - Despite rapid growth over the past decade of the coworking sector, many have still dismissed the concept as a fad. Office Revolution Expands into Columbus - Office Revolution, the largest Teknion dealer in the Midwest, is expanding into Columbus, Ohio. 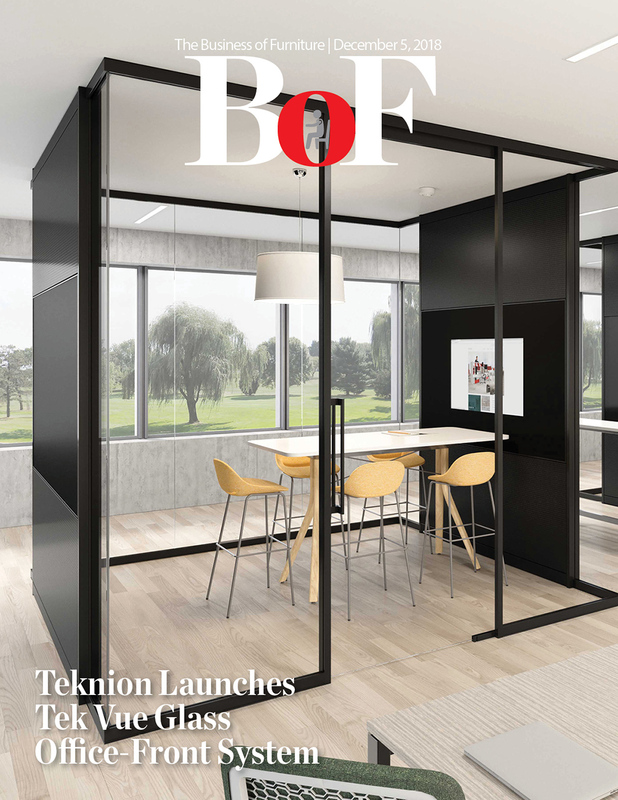 Teknion has been Office Revolution's marquis brand since the dealership was founded in 2001. State of Massachusetts Selects AIS as a Manufacturer of the Year - AIS — with nearly 800 employees — is the largest employer and manufacturer in the city of Leominster, Massachusetts. JLL Liquid Lab to Include Haworth, Humanscale - The lab will enable established corporates and new companies to develop and test products that solve the work space problems many organizations face — whether it's managing occupancy levels or providing comfortable furniture. Orgatec Filled with Trends to Watch - Some of the coolest new products and ideas are coming from the most unlikely of places — the smaller manufacturers and in some cases the makers who are pushing the design envelope. New and emerging companies more than made up for the stumbles of Vitra and the other European majors. Allsteel and Normann Copenhagen Expand Successful Partnership - After a successful year of collaboration, Allsteel has expanded its partnership with European furniture and accessories brand, Normann Copenhagen. Three Questions to Ask When Specifying a Residential Brand for a Commercial Space - Residential furniture was designed for just that, the residence. What happens when this furniture doesn't hold up to the durability standards of an office? Resimercial. Respitality. Soft contract. There are many terms on the market today to describe the use of residentially designed furniture in commercial spaces. Knoll Reports Continued 2018 Momentum With Strong 3rd Quarter Results - Newer workplace platforms and ancillary products drove sales growth while legacy system sales remained flat. Orgatec Off to Solid Start - At Orgatec, design matters. Depending on who you talk to, the products themselves are just the byproduct of design and ideas coming together. Mediatechnologies Acquires Izzy+ Seating Lines Hannah, Bola, Smile and Arc - Hannah, Bola, Smile and Arc, previously mainstays under the izzy+ umbrella, have been added to the mediatechnologies' family of furniture products. A Non-Traditional Response to Address Failing Workplace Strategies - Miller took what many would view as the traditional contract interiors path. "Mindshift is a process designed to tackle complex problems that seem perpetually stuck by creating the necessary willingness to set aside assumptions and explore the worlds of outlier." Employees are Happier, Healthier and More Productive in LEED Green Buildings - 90 percent of respondents in LEED-certified green buildings say they are satisfied on the job. The survey also shows a majority of office workers want to work for companies that are value-oriented, take stances on important issues like sustainability and do their part to make a positive difference in the world. Kimball Announces the Pending Acquisition of David Edward - The David Edward product portfolio consists of classic and contemporary designs focused primarily in the seating, tables and ancillary furniture categories. 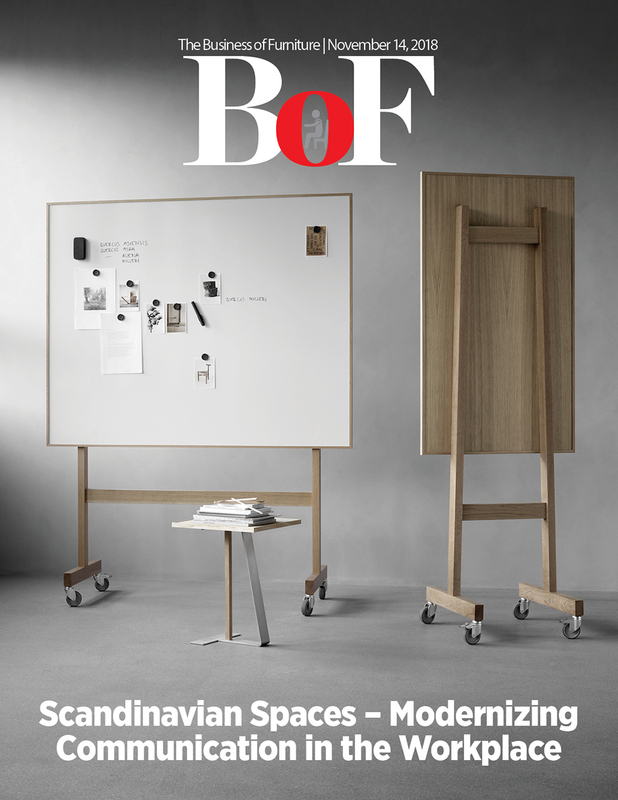 Looking for previous editions of Business of Furniture and Workplaces Magazine? Every previous edition is available online, anytime from 2016 onwards! 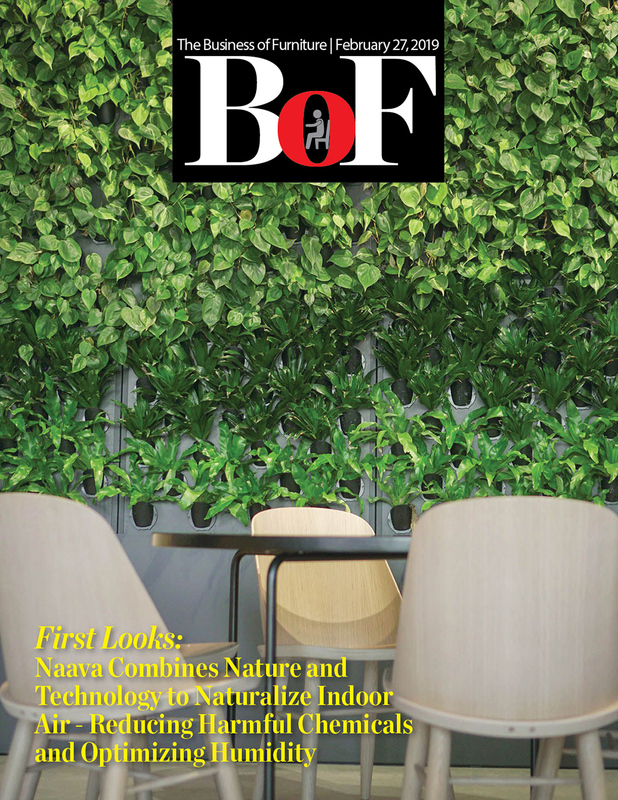 Business of Furniture and Workplaces Magazine are the go-to sources for keeping you informed about everything that is happening in the industry. From trends that affect your bottom line, to new products that will help your customers work better, to stories that will help you run a better, more informed company.